The week after he won American Idol last May, David Cook placed no fewer than eleven songs on the US singles chart – the highest number of concurrent hit singles since the Beatles racked up 14 in 1964. Since then he’s released a platinum-selling debut album – the lion’s share of which he co-wrote – and embarked on his first headlining tour of the US. As he releases his album over here, we gave David a call to find out how he’s taking to life as a popstar. What do you do after your show? Do you party? You’ve written nearly every song on your album, which is quite rare for an Idol star’s debut. Did you have to fight for that privilege? Are you nervous about how the album’s going to be received over here? Idol stars have a mixed record in the UK. Have you been watching this year’s American Idol at all? Is it weird watching now having been on the inside last year? Have you been in touch with any of the judges since the show? What do you talk about if you bump into him at a function? How do you think Kara’s settling in? Finally, if you could record a duet with any singer, who would it be? Could you ever see yourself doing something with Kelly Clarkson? Obviously there’s the Idol connection, but it could work vocally too. 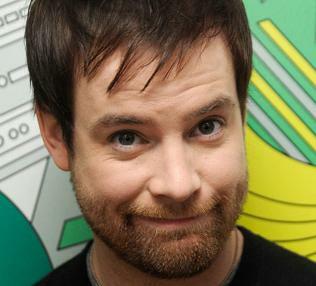 David Cook’s self-titled debut album is out now. Meanwhile, adding his alma mater to a nationwide tour that focuses on small venues on college campuses, 2008 American Idol winner David Cook will perform at the University of Central Missouri Tuesday, April 28. Singer-songwriter Ryan Star is joining him for the concert that begins at 7:30 p.m. in Hendricks Hall.